Christie Chirinos is a Partner at Caldera Labs. Christie received her Master of Business Administration degree with a specialization in information systems management from Florida State University, and is currently based out of New York City where she lives with her cat, Snickers. In this post, I’m going to talk about how to choose a web host. If I had to guess, I would say that about 30% of our Caldera Forms support tickets are about a conflict with a hosting provider. We know better than most that choosing the right web hosting provider is essential to any site builder’s success, so below are some tips to help make your experience better. If you’ve read other things I’ve written, you know that my first experiences with WordPress were as a user. 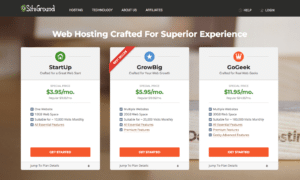 When I was starting out, I had an ultra-cheap student web hosting account. Don’t get me wrong: I loved it, and I even still have it. It served the purpose of letting me put random stuff on the internet for practice. However, I also remember not fully understanding the errors or problems I would have. I was just starting out, so things just wouldn’t work right, and I didn’t know why. Even products that I knew really well would fail. Being a beginner or intermediate web developer on poor quality hosting is, in my opinion, the perfect way to describe what it feels like to not know what you don’t know. Server management is hard, but it’s mostly invisible. Lots of things can go wrong, but they don’t tell you they’re going wrong, they just fail. It’s the difference between big, red errors, and a blank screen. Server management is hard, but it’s mostly invisible. I could bore you with the explanation behind why this is the case, but I could just get to the point: the first time I switched my website over from poor quality hosting to better hosting, everything just worked better. My web design experience suddenly wasn’t 60% frustration with things not working the way the documentation said it should and 40% hoping things don’t break. This is why I care about high-quality hosting, and why you should, too. OK, What Is Web Hosting? Let’s start with the basics. If you’re already familiar with the workings of web hosting, feel free to skip to the next section. But when you’re putting your first site for your business or blog online, getting an understanding of the internet and web hosting can be very helpful. In very, very simplistic terms, the internet came about when we figured out how to connect computers. The first websites were browsed by one machine looking at the files on another. Imagine if, for your website to work, you had to allow anyone on the internet to look at a group of files on your computer. Ouch, right? You would probably get hacked quickly. And, what happens when you want to turn off your computer? You could solve this problem by designating a computer to be used only for the purpose of holding those files that make up your website. This is where web hosting providers come in. In short, you pay somebody else to designate a computer to be used just for your website – a web server. They take care of the security and reliability concerns, once they figure out how to do this, they can sell this service to others, too. It’s a win-win for everybody. 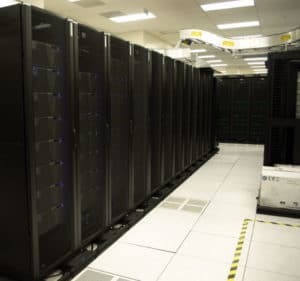 If you’ve ever watched a sci-fi action movie, you’ve probably seen a character go into a dark basement room full of computer towers, much like this one. In reality, you are buying a space on one of these machines when you buy web hosting for your new website. That’s why in the movies the way that the good guy wins is by disconnecting, or hooking into, one of these machines. To access your purchase, you usually get a portal the web hosting provider maintains for you. You access it with a username and password, much how you access other web services, like Facebook. You also get an IP address to your spot on the server. An analogy Tutplus makes is renting a store at the mall: you get a store floor, plus access to the back to do what you want to your store. Other people get an address to your store to be able to come to see it and shop. What Are The Different Kinds Of Web Hosting? The next piece to understand is the different products you can buy from a web hosting provider. Oftentimes, seeing these offerings on the site can be confusing. 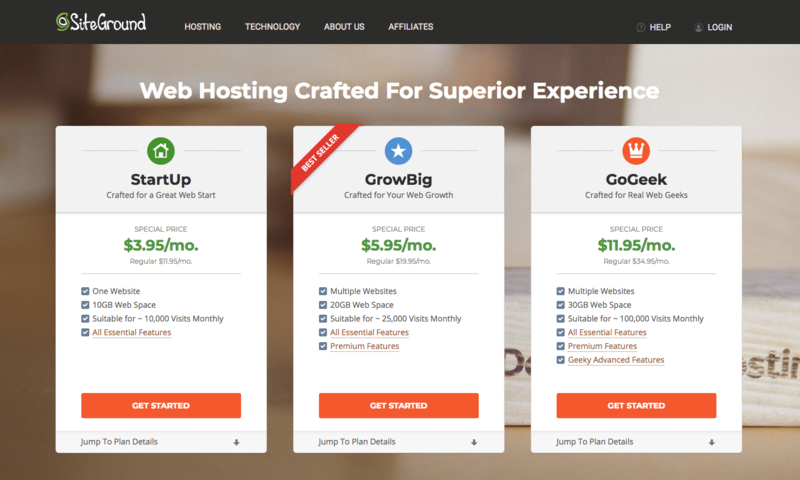 Take, for example, our recommended hosting provider SiteGround’s pricing table. It can be tough to understand what constitutes these price differences. A screenshot from the Siteground.com pricing table. To understand the differences in what you’re buying, it can be useful to understand the different kinds of web hosting. At the lowest end, we have shared servers. These are usually the cheapest, and they are a situation in which you share one of the boxes in that picture above with other websites. In this situation, what other websites are doing affects your website. You are also restricted in the how and what you can upload to your hosting space, after all, funny business from you could affect other people. The step after this is a virtual private server or VPS. In this situation, your web hosting provider is using software to simulates a whole, individual computer within a computer. This means that we can use one of those physical boxes above for multiple websites, just like in shared servers, without the drawbacks of shared servers. These are, understandably, a little more expensive. After this is a dedicated server. Much as the name would imply, this means you’re renting out a whole “box.” This gives you a lot of flexibility – if you are someone that has unique server management needs for an app, doing this can be a cost-effective way to do the things that you need, since you have maximum customization as your actions won’t affect others. Finally, we have cloud servers. You’ve probably heard of these – these are the Amazon Web Services or DigitalOceans of the world. These services are of very high quality. Usually, their main benefit is that they are scalable – meaning, no matter how much traffic your site gets, it will be prepared for the load because these services charge you for usage, not for the “type” of hosting. With that said, they usually take a good amount of technical know-how, and may not be the best place to start for a beginner. What Should I Look For When Making A Decision? First, look at the basics. Most basic web hosts will explain to you what kind of hosting you get (shared, dedicated, etc.) in the context of benefits: how many websites can you host on it? How much space will you get? Depending on whether you are hosting your own site, or looking for professional hosting, you will want to choose your plan based on benefits first. After this, comes the more difficult task of assessing quality. According to CNET, there are 4 s’s for us to look at when it comes to assessing quality: security, speed, support, and scalability. What does your web hosting provider’s website say about each of these characteristics? The classic advice is to look for indicators that support is readily available: 24/7 chat support, phone availability, etc. I would disagree with this, and instead challenge you to ask yourself: “how much support do I need?” if you are shopping for hosting for your own website, and you think you will need a lot of hand-holding, getting a plan with a provider known for excellent support is well worth the expense. If you need a plan with which to host test sites, you probably don’t need to pay for support you won’t use that much. This is a question of much traffic you are expecting. In general, personal websites and local businesses don’t need to concern themselves about it too much. On the other hand, if you are running an e-commerce website that expects to accept orders from all over the world, you should concern yourself with scalability. Even if scalability is not a concern now because nobody knows about your business right now, the problem with running a global business is that by the time scalability becomes a concern, it is too late. In other words: you want to be prepared for when you go viral overnight. Think this is a one in a million chance? I would disagree. In both of the job I held prior to selling WordPress products on my own, I watched both organizations face scalability problems unexpectedly. Finally, you want to make sure your site’s information can go with you if you decide to switch hosting providers. If you find that the provider you’ve chosen isn’t fitting your needs, you don’t want to be stuck because it would mean starting over to switch. People often ask with Squarespace and Wix are hosting companies. Yes, in a way, but they also provide you with a content management system that is top-notch – and proprietary. This can be a quick way to get your site set up, but a big problem if you’re anticipating needing more power down the road. If you think your business might change, you need your information to be portable. For example, if your local shop evolves to sell its products nationally, you will need a change in technology strategy. Obviously, here at Caldera WP, we are a WordPress product company and we are biased towards WordPress. But, most major hosting companies support other open-source content management systems (CMS) too. This is the question everyone wants a hard answer to. I think buying hosting is a lot like buying wine, if you are interested in that sort of thing. You should spend as much as you can afford to spend. If you buy a 3 dollar Trader Joe’s bottle of wine, you’ll always get what you pay for. It will be wine. It will be 3 dollar wine. You can also get $30, $50, even $200 bottles of wine. These come with their benefits for the price. We have CalderaForms.com on enterprise hosting, and it is an absolute necessity for our size product. But usually, I’m a $15 bottle kind of person. I think this is the respectable wine that will not fail, and allow for other expenses. Our recommended hosting provider for Caldera Forms users struggling with their current, low-quality hosts is SiteGround.com. We find SiteGround to be a high quality, affordable option that won’t be unapproachable for those moving from lesser hosts. Among the features that we love are PHP 7.2 support, scalability and ease of migration. Migration is ridiculously easy. When I migrated my personal blog, I did it on my smartphone. All that was required of me was to securely share login information. It was a great fit for people who are short on time and looking for a quick solution. What do you think about choosing web hosting? Are there any tips you think I missed?